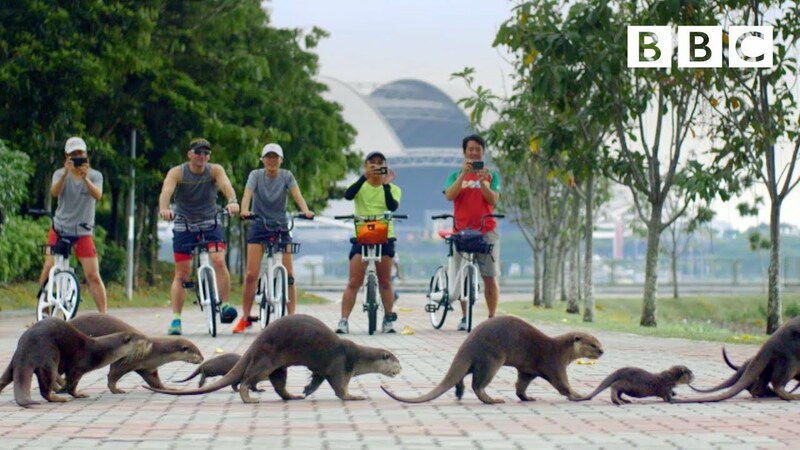 The Bishan Otter family of Marina Bay have become somewhat of a local attraction. Whilst wild otters usually take up residence in the marshes and wetlands of rural South-East Asia, this one family has found city life to be much more appealing. The documentary clip shows the unlikely city-dwellers happily navigating Singapore’s many waterways, feasting on river fish and even scaring away the odd confused dog as a group.